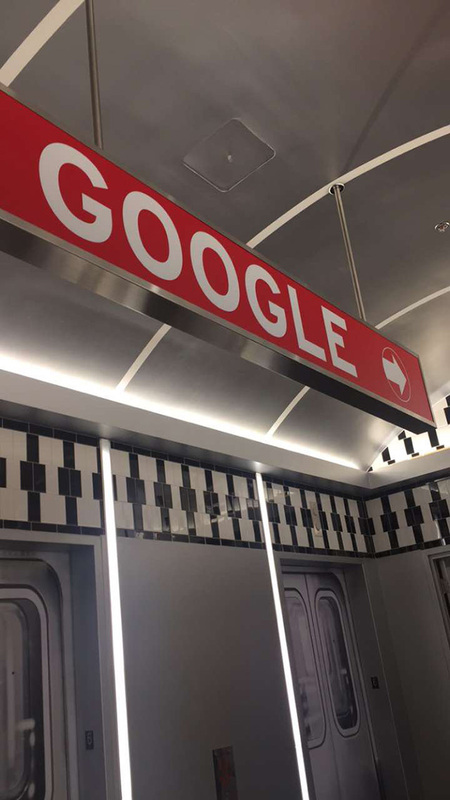 Here is a photo I found on Twitter from the Google Atlanta office. It shows what I think is from the inside of a subway car, within the office there, and hanging is a sign to Google with an arrow. Like an old fashion subway car sign.